Unless you’ve been living under a rock, you’ve probably heard people talking about the latest and greatest new kitchen appliance: the Instant Pot. I’ve heard claims that it would change my life. At a minimum, it was supposed to revolutionize the way I cooked. Many of my friends got Instant Pots on Black Friday or Cyber Monday. Several friends and I got them as Christmas presents. That means that we’ve all had around 2-3 months to try out our Instant Pots and form our own opinions. I thought it was about time to write an Instant Pot review. 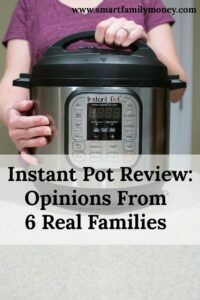 I wanted to write an Instant Pot review that was about real families. Families that probably would never write an Amazon review because they’re busy living their lives. I feel that online reviews often highlight the extreme opinions. Everyone either loves or hates everything! I talked to real-life families with real, middle-of-the-road opinions. It offers everything that a slow cooker does and more, so one could potentially replace several different appliances with it. An Instant Pot can perform many different functions. Instapot is just a nickname that some people use to talk about an Instant Pot. It’s not a different thing. I talked to 5 different families and included my own family to make a total of 6 families. We do cook a lot at home both for budget reasons and because eating out with small children is difficult. All of the families surveyed put a high value on healthy, home-cooked meals. How Often Do Families Use the Instant Pot? The answers to this questions varied a bit from about 1x/week to 4-5x/week. It did seem like all of the families surveyed are using their Instant Pots on a fairly regular basis. It could be that only the regular users offered to fill out my survey, though! If I know I’m going to be working 3+ days, I’ll food prep 1 day for the whole week. What used to take me multiple crock pots and the entire day, now takes 1 afternoon. If I’m home more, I’ll use it at least twice per week. What Are Your Favorite Foods to Cook with the Instant Pot? The Instant Pot makes excellent hard boiled eggs. Now, I can decide at lunchtime that I want soup for dinner. Instead of being a multi-day project, I can be done within a few hours. Brown rice in the Instant Pot turns out superior to stove top and requires zero effort on my part. Pulled pork, venison roasts, bean soups. It’s a procrastinator’s crock pot at our house! My favorite last minute dinner trick is cooking frozen ground beef in about 40 minutes. Close second is 15 minute sweet potatoes. I especially love it for recipes that require searing meat or sauting onions/garlic before putting into a slow cooker, because it can all be done in one pot and preserves flavor. Hard-boiled eggs are so simple in the Instant Pot and come out so easy to peel. Instant Pot Review: Does it Save Money? The Instant Pot definitely saves time and “time is money”. It has allowed them to avoid some convenience foods like canned beans (instead of dry), parboiled rice, and pre-cooked hard boiled eggs. Almost everyone mentioned that the Instant Pot has allowed their family to have quick, home-cooked meals on evenings when they were unprepared or short on time. For many families, this allows them to avoid the cost of a takeout meal. 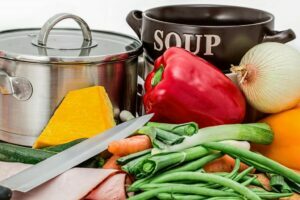 While most seem to agree that there is probably some cost-savings by using an Instant Pot, the savings are difficult to quantify. We are a family with two kids and two full time jobs, so every minute saved is worth value to our family. I’m assuming it has saved me on my gas and electric bill by not running my stove and oven as much. There have been a few times where we were totally unprepared for dinner, and we were able to pull a frozen cut of meat and have it ready for dinner with little to no preparation. 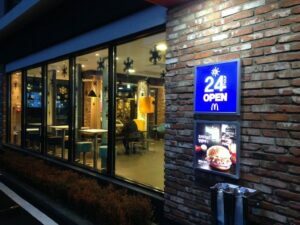 Could an Instant Pot help you avoid a trip through the drive through? Instant Pot Review: Would You Recommend It? Cooks that are already somewhat experienced. The Instant Pot has a learning curve and might be tough for new cooks. Families who value cooking from scratch and want ways to make it easier and faster. I don’t think the Instant Pot is for someone who is expecting entire meals to come out of it. I use it more as a tool to cook components of a meal in a quicker and easier manner. Yes, I’d recommend it for experienced cooks because it saves time. For beginner cooks, I’d stick with the slow cooker because it is a bit of an “art” converting recipes to an Instant Pot format. Yes, I’d recommend it because it makes pressure cooking more approachable for the average home cook. For anyone who likes to meal prep ahead and is short on time (ummm, everyone? ), the Instant Pot is for them! The consensus seemed to be that the Instant Pot is a great tool to have in your kitchen, but it’s not some magical machine that cooks a gourmet meal with zero effort. It just makes certain tasks significantly faster or easier. The Instant Pot is a fantastic tool for experienced home cooks, but it’s not magic! The Instant Pot LUX is the original, basic model and it comes in 5 qt (LUX50) or 6qt (LUX60), although the newer version (version 3) only comes in the 6-quart. They LUX only does high pressure and can not make yogurt. Since 99% of pressure cooking recipes use high pressure, this is not as big of a drawback as it sounds. The Instant Pot DUO is named for the fact that it has two levels of pressure (high and low). It also has the yogurt function, which the LUX lacks. Another handy upgrade that the DUO offers is a resting place in the handle for the lid, so you don’t have to put it down on your counter. The DUO comes in a 5 qt (DUO50), 6 qt (DUO60), or 8 qt (DUO80). The DUO is generally about $20 more expensive than LUX. The Instant Pot SMART has all of the features of the DUO plus Bluetooth capabilities to connect with a smartphone app. This opens up a whole range of programming options that are not available in the other models. At around double the price of the other models, though, I’m not sure it’s worth it. Instant Pot 6-in-1 vs 7-in-1? Which Model of Instant Pot Should I Buy? Three of the families I surveyed had the Instant Pot LUX60 and three had the Instant Pot DUO60. Of the ones who had the DUO model, none of them were using the low pressure or yogurt functions, so they likely would have been just as happy with the LUX. Two families mentioned that they might have preferred a larger 8 qt model. It would allow them to cook larger frozen cuts of meat or prepare larger cook-ahead meals. No one wished they’d gone with a smaller 5 qt model. None of the families seemed to desire the features of the SMART model. There are a few accessories that you might want to consider for your new Instant Pot. Although the instant pot comes with a trivet, you may want to consider a steamer basket like this one or a colander that fits inside the pot. After shopping around, I bought this colander and it’s been wonderful for vegetables and potatoes. It keeps them out of the cooking liquid so the food is steamed, not boiled. You do have to snap the handles off of the colander to make it fit, but it was pretty easy. If you plan to use the Instant Pot in slow cooker mode, you need to have a glass lid for it. If you don’t already have one that fits, you can buy this official one. Instant Pot seals do wear out and can hold odors. If you’re planning to make desserts and don’t want them to smell like roast beef, you may want to get extra sealing rings. Speaking of desserts, I’ve heard that Instant Pot cheesecake is incredible! This cheesecake pan is supposed to fit inside the Instant Pot perfectly. 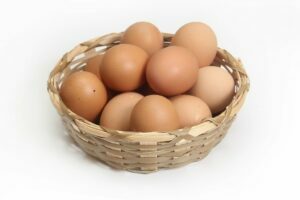 A mesh basket or colander is probably the most useful accessory for the Instant Pot. If you’re been considering an Instant Pot, and you have the money in your budget, I’d say go for it! It definitely makes home-cooked meals easier and quicker. It’s not a magic solution, but it’s a great tool to have in your kitchen. If you’ve been stressing about which model to buy, go for the basic LUX60 model and I doubt you’ll have any regrets. It may be the cheapest Instant Pot, but it’s still got a lot of great features! Do you have an Instant Pot? Did I miss any of the pros and cons? Comment below! Previous Post: « FreeTaxUSA Review: Cheap Alternative to TurboTax and H&R Block?